There is no limit to what kind of business can participate. Retail stores, restaurants, lodging facilities, outfitters, realtors, doctors, contractors, and other professionals can all participate. All donations received are used directly by EVLT and ERWC within the Eagle River and Colorado River watersheds to help fund their objectives of promoting clean water and responsible growth through preservation of open space, agricultural operations, fish and wildlife habitat, public recreation, scenic vistas, and significant natural resources. EVLT and ERWC work with landowners and local, state and federal agencies to help identify and protect land and water with these key values. Already, over 7,700 acres of land has been placed in conservation easements, while many projects are currently underway that will significantly add to this acreage. Over 40 miles of streambanks and fish habitat have been restored and protected. Every year, well over 5,000 points of water quality data are collected and analyzed in an effort to stay ahead of threats to stream health. The county is expected to double in population to 100,000 people during the next 35 years. The impacts on our iconic lands and streams will only increase with that growth. EVLT and ERWC are protecting these resources, but that takes time and money. The need for funding to help meet the objectives of promoting and restoring healthy rivers, clean water, conscientious development, preservation of open space, wildlife and fish habitat, agriculture, water rights, and economic diversity throughout the Valley has grown. Similar programs have been running with great success and longevity throughout Colorado and the rest of the country. The most notable examples are in Lake County, which has raised more than $40,000 and in Gunnison County, which boasts the oldest and most successful customer donation program in the United States. Almost $1 million has been collected there since 1997, with over 70 participating businesses. The Land and Rivers Fund will help protect our natural wonders for all future generations. Businesses collect a voluntary 1% donation on every sale they conduct. In the case of pay-for-service companies, a donation may seem awkward. Many such businesses find it more comfortable to instead have a set dollar amount. For example, if you charge an hourly rate of $50 for your services, you may want to say that $.50 is added per hour. If these standard payment methods do not work for your business model, we are happy to work with you in developing something that will work well. BONUS! Make the program go further by matching the donations and be recognized as a Land & Rivers Fund + Circle member. We’ll highlight your additional support and commitment to sustaining our beautiful valley by including you in our + Circle. This can vary by business to meet your needs- examples include: matching 25% of collected donations, or matching the first $2,000 collected, or matching all donations in the month of June. + Circle members will be recognized on our website. To be eligible for the Founders Circle, your business match must be a minimum of $1,000 per year. This donation by your business is tax deductible. How do I set up the program? Add the 1.0% to your POS system. Formulate your simple opt out procedure. Put out the small signs we provide to you showcasing your support of the program. Proudly start collecting 1% for the Land & Rivers Fund with every sale! Optional: further showcase your support by adding a line to your receipts that showcases your support of the 1% program. Additional Guidance: While setup should be very simple, we can provide a $100 credit if you need to consult your bookkeeper or other professional POS representative. Don’t overthink the opt-out. It is very rare that people opt out (typically less than 1 customer per 5 years). There are several simple ways other businesses handle this. For businesses that provide bids and invoices, we’ll provide sample language showcasing your support of land and rivers. How does the customer learn about the program? Signage at the cash register and posters should be displayed to let your customers know that your business supports the conservation land and water. We have signs and brochures that can assist in this notification. We ask that at least two signs are used, one on the door and one next to the cash register. There are different ways that businesses solicit the donation. We are willing to sit down and discuss what option works best for your situation. Many businesses let the signs do the talking and only bring it up if the customer asks questions. ERWC and EVLT also promote the program and encourage individuals to patronize businesses that participate in the Land & Rivers Fund. See the Benefits to Participating Business section above. Information about the program can be found at www.landrivers.org. Information about Eagle Valley Watershed Council can be found at www.erwc.org and information about the Eagle Valley Land Trust can be found at www.evlt.org. Can my business take a tax deduction? No. the customer is making the contribution, so it is the customer who is able to take a deduction, as allowed by law. Will I need to pay taxes on this 1% surcharge? Since this is a donation, no sales tax is due on the contribution portion of the bill. What if the customer uses a credit card? If the transaction is charged to a credit card, most businesses choose to absorb any associated fee. Since the contribution is 1% of the gross sale, the percentage of the fee for the 1% is minuscule. Should I tell every customer about the program? Although, we would encourage you to highlight your participation in the program whenever possible, we do not expect you to converse with each customer about the program, unless they ask. We strongly encourage, however, that you train your employees to bring the Land & Rivers program to the attention of your customers when purchasing more expensive items or with customers that express concern about the cost of their purchase already. What if the customer wants to opt out? If a customer does not want to make the donation, it is the responsibility of the business to take the donation off their bill. This rarely happens. We don’t want to share our annual revenue. What about confidentiality? For transparency reasons, we require an estimate from you at the outset of the agreement which helps us anticipate total annual revenue and to ensure the full 1% collected by each business makes it to the donor’s intended destination: Land & Rivers Fund. Contributions from your company are kept strictly confidential. We can give you publicity without divulging your annual revenue. Eagle Valley Land Trust (EVLT) and Eagle River Watershed Council (ERWC) together are Eagle County’s only non-profits exclusively focused on conserving and protecting rivers and open spaces for the benefit of the community. 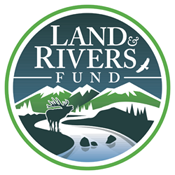 Together, we have launched the Land & Rivers Fund.